1. I admit it. I get as frustrated as the next guy over the yo-yo performances of Jameis Winston. But until the Bucs can find other ways to beat an opponent, they'll lose. They couldn't hurt Dallas running the ball. They couldn't slow them down blocking. They allowed 27 points. What do you think the coaches say during their game-plan sessions? "Well, let's let Jameis throw on third-and-18. That works." 2. 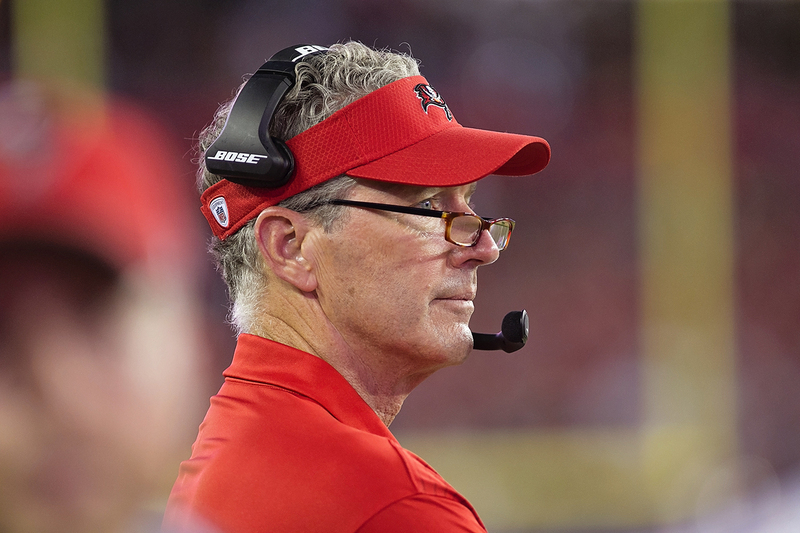 In a way, I agree with Dirk Koetter that holding has little to do with discipline. Delays of game, jumping offsides, committing turnovers -- those are indications of a lack of discipline, and the Bucs do those things, too. Holding is an admission that the other guy is better than you are, and you have to grab him to slow him down. Either way, it's a weakness that should have been corrected if the Bucs' coaches didn't fool themselves into thinking they had a quality line. 3. 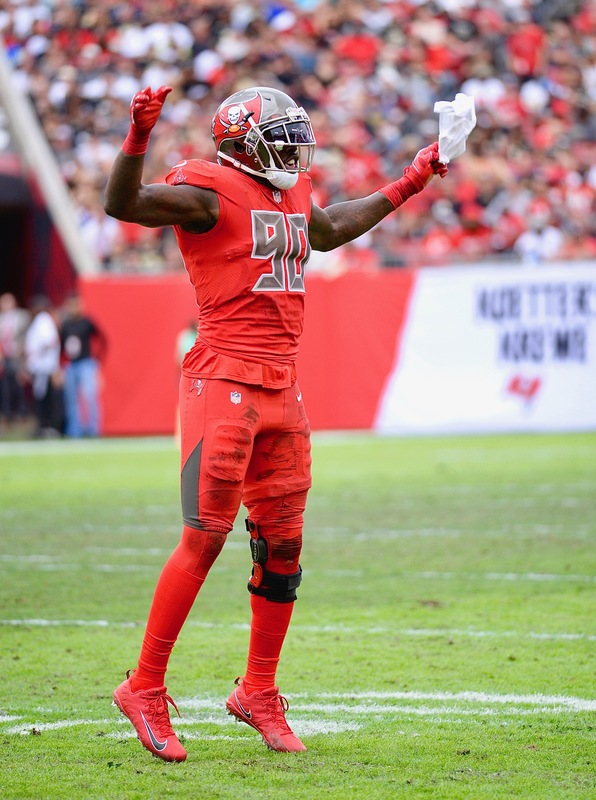 The Bucs have now won exactly five games nine times in their 43 years. They've won fewer than five 11 times. That's almost half of your total seasons. For crying out loud, they're Wake Forest! 4. This is sad but true. One of my dogs died during the Bucs' game Sunday. I think she was tired of watching. 5. 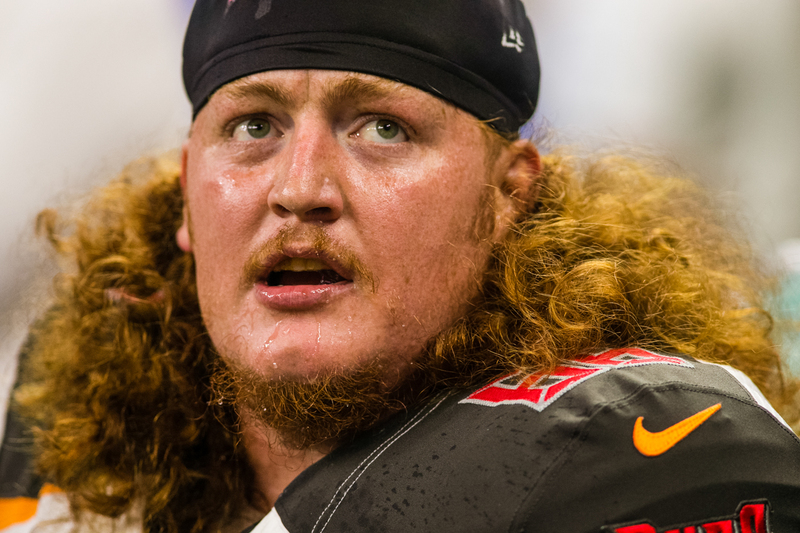 Ask yourself this: How many Bucs' players would you give a passing grade to for this season? There's Mike Evans and Jason Pierre-Paul, Lavonte David and Ali Marpet. I can't give one to Winston between his suspension, his benching and his turnovers. I can't give one to Peyton Barber, who had six games in which he didn't average 3.0 a carry. (On why Ryan Griffin surpassed Ryan Fitzgerald as the No. 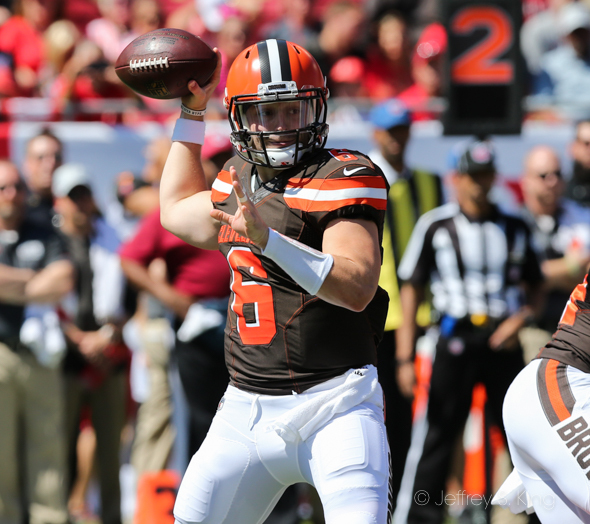 2 quarterback Sunday: "First of all, we're not mad at Fitz in any way, or anything like that. I've been thinking about it for a long time, since Jameis (Winston) came back the last time as a starter, and I just think that we'd love to get Ryan Griffin in a game if the situation called for it. I mean, the guy's been here for three years and he’s worked his tail off. I've talked to you folks about this before: I think Ryan Griffin is a really good quarterback. He tears it up in practice every day, but he's never gotten a chance to prove it in a real game. 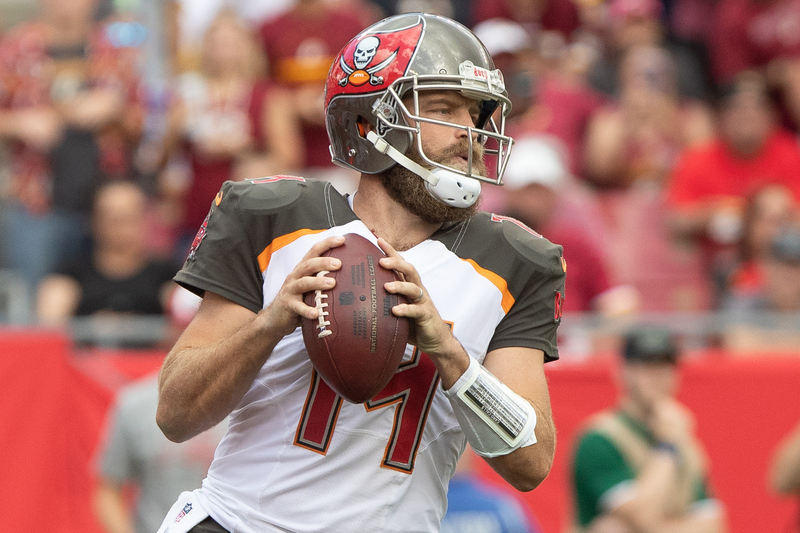 After it was clear where our season was going to end up – Ryan Fitzpatrick did his job for us this year and is going to be a free agent, may or may not be back. That's not today's topic. We'd just like to see Ryan Griffin get a chance to get in a game if the opportunity presents itself. He's been killing it in practice." 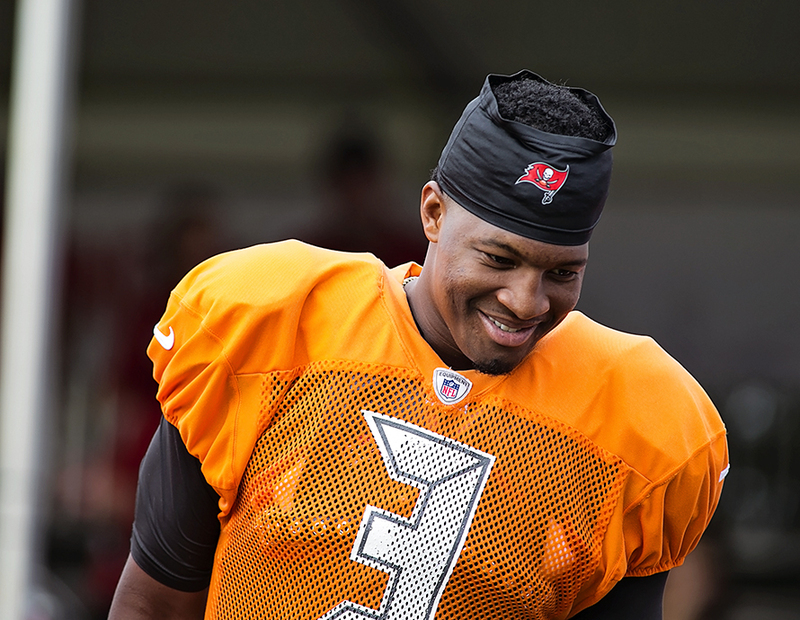 (On how Jameis Winston has improved in his four seasons): "Yesterday was a good example of his (decision-making). I think we had him for 13 checkdowns yesterday, 13 times. I'm sure that's the high for his career in a game. We knew we were going to have to do it, we knew they were going to play coverage the way they did and that's how they try to get you to play. And I thought Jameis stayed pretty patient throughout the game. He strayed a couple times, a couple of times that he could have stuck with his checkdowns and he went for the big one. But I thought for the most part he made good decisions, so I think he's improved there, definitely improved his accuracy, has improved protecting the football. We had the two (fumbles) yesterday. The one, that was a really good play by 94 (Randy Gregory) running all the way around the back. When you see how far that guy ran, I mean there's probably – Jameis isn't going to be suspecting that guy to come that far to get him. Then on the second one I think that was probably more the other guy (Bobo Wilson) than it was on Jameis. I think he's improved in that area and I think Jameis has improved across the board. Our team has to improve on winning close games." 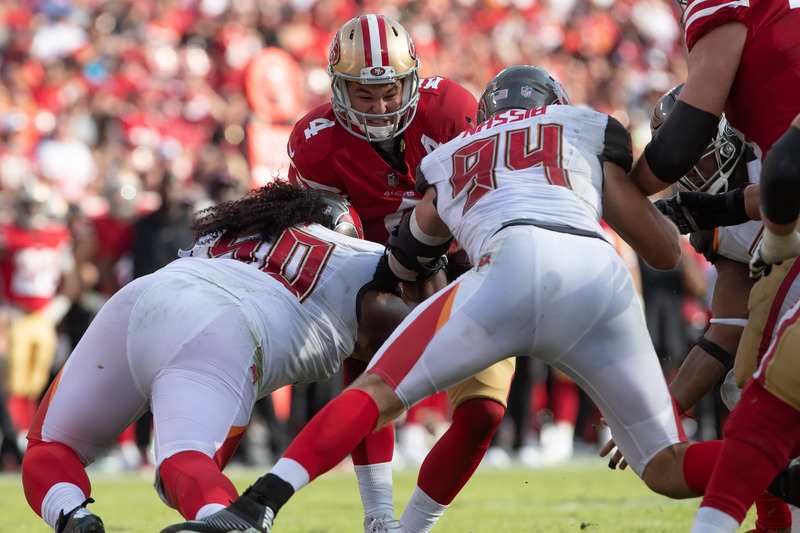 (On how Vita Vea played as a pass rusher Sunday): Vita's just improved across the board as he's really gotten into his groove of playing. I thought Vita was our most dominant defensive lineman yesterday. I thought he consistently got knock-back on the line of scrimmage. I just think he's gained confidence. I'd say the last five weeks, he's improved every week. He's kind of got things where he understands, he knows what to expect now. He's cutting it loose, he's not playing tentative, he's not on the ground as much. Most of his pass-rush comes with power, although he is quicker than he might be thought of for a guy his size. When he's got good rushers around him, like he does now, and he's singled up — most people are going to single the nose [tackle] and slide to the three[-technique tackle] — that's going to give him a consistent one-on-one. He had a good day yesterday pushing the pocket back. If we're playing with a lead more, that will show up more. When you're playing from behind, that's going to show up less." 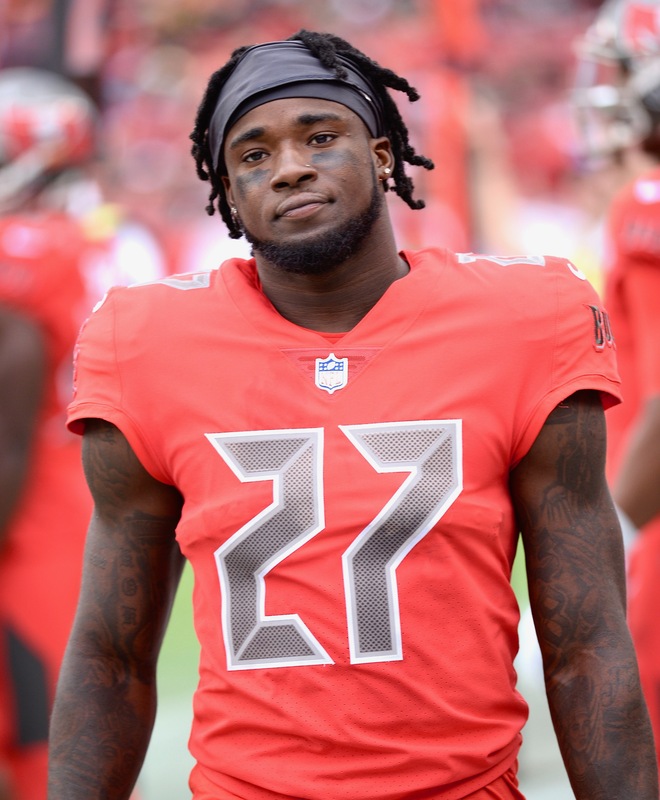 (On the play of the Bucs' cornerbacks): "Two of our three musts on defense in the game were to control their running game and limit their explosives and we really did both of those things. I think they rushed for 80 yards and 25 of those 80 were in the four-minute mode, which we've got to do better in four-minute. I thought Carlton Davis was pretty solid yesterday; maybe he had one play that wasn't very good. 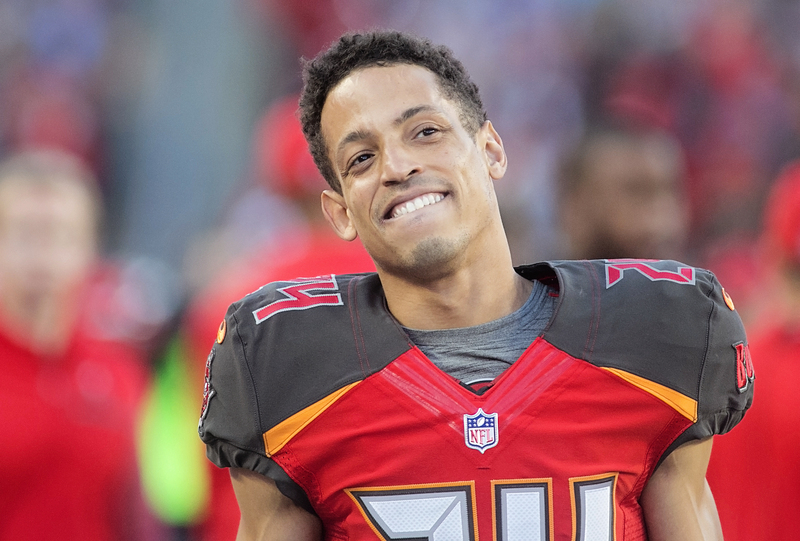 Grimer (Brent Grimes) didn't have his best day of his career. He didn't have his best day, got beat on that fade for the touchdown and missed a tackle there at the end. Brent hasn't been tested very much this year. Team's mostly stay away from him. But I've seen him play better than that." (On turnovers): "Whoever's fault turnovers are, that's the number-one factor in winning and losing. There's no question. Now, that game yesterday, those two turnovers led to 14 points. We also had two unbelievable opportunities that we didn't make. We dropped an interception that would have been a walk-in touchdown on the first series and the first drive of the second half, Carlton popped that ball out and we were laying on it on the 20-yard line and didn't get it. When there's big plays in the game like that you've got to be at least 50-50 and we were oh-for-four in those plays." "The Cowboys finally had some red-zone success after their recent struggles. They had three red-zone opportunities and cashed in two of them for touchdowns. Over the previous three games, the Cowboys had scored only two touchdowns in 11 red-zone opportunities. Of course, it helped that Tampa Bay came into the game as the NFL's worst red-zone defense. The Cowboys' red-zone offense ranked 31st in the league." "The Dallas Cowboys (9-6) are officially playoff-bound after a sloppy 27-20 victory over the Tampa Bay Buccaneers (5-10). In a game where Tampa Bay outgained Dallas by 151 yards and possessed the ball nearly 10 minutes longer, it was Dallas' ability to take advantage of its turnover-opportunities that led to a playoff-clinching win. "The Cowboys offense struggled way more than it should have against Tampa Bay's 29th-ranked (by DVOA) defense, averaging just 4.6 yards per play and going 3 for 9 on third down." "The scars of Quincy Carter, Clint Stoerner, Vinny Testaverde, Chad Hutchinson and other flopped QBs who succeeded Troy Aikman run deep in owner Jerry Jones. If a guy is close, Jerry is going to keep him. Dak has one season remaining on his original rookie four-year contract, and nothing this season has given Jerry enough proof that he should not give his guy a monster extension. "Jerry is a believer, and those within the organization are convinced he will sign Dak to a big number at some point next year. Jerry made such comments earlier this season on his weekly radio show on 105.3 The Fan, and nothing has happened since then for him to shy away from those feelings. The question is when, for how much, and what are the specifics as its relates to the salary cap, and the potential to escape the deal if it goes to the dogs. When an NFL starting quarterback signs a contract these days, typically the money is enough to fund a small European nation for a year or two. In April 2017, the Lions gave quarterback Matt Stafford a five-year deal worth $135 million." "Jameis Winston might not ever live this one down. 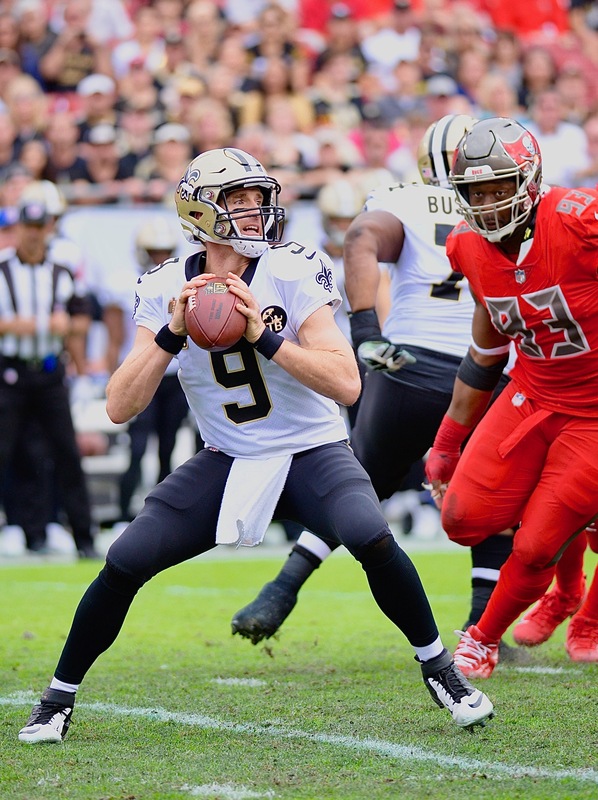 Last season, as the Tampa Bay Buccaneers sat at 2-5 ahead of an NFC South showdown against the Saints in New Orleans, Winston gave one of the NFL's more memorable motivational speeches (for all the wrong reasons) in recent years. Winston introduced 'eating a W' to the football world on that fateful November night. 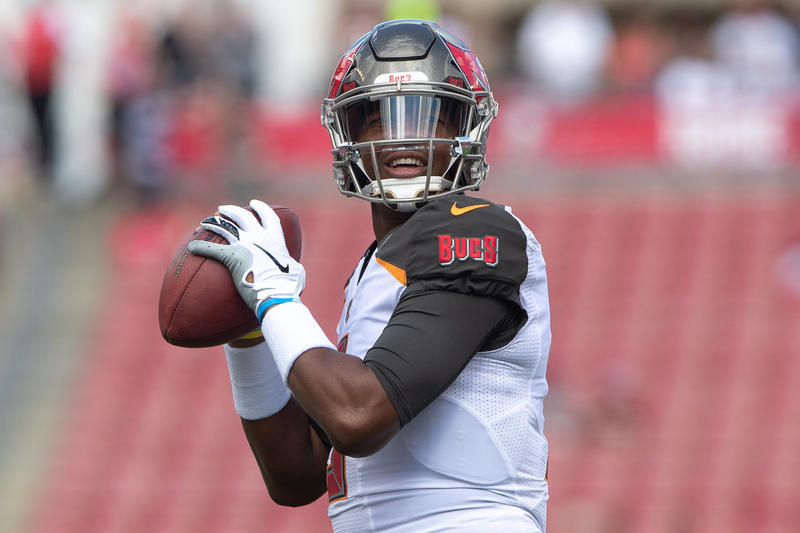 "As the fourth quarter wound down during the Cowboys' 27-20 victory over Tampa Bay on Sunday, defensive tackle Antwaun Woods used the blast from Winston's past to troll the former Heisman Trophy winner." "Winston was under pressure quite often, as the Buccaneers had a tough time handling the numerous stunts run at them by the defensive line. When Winston did have time to throw, he struggled to find open receivers downfield settling for underneath checkdowns. "Peyton Barber did not get a whole lot of help from his offensive line in finding running room. Most of Barber’s yards came after contact, and his best run of the day, in which he made four defenders miss, was called back due to an offensive hold. 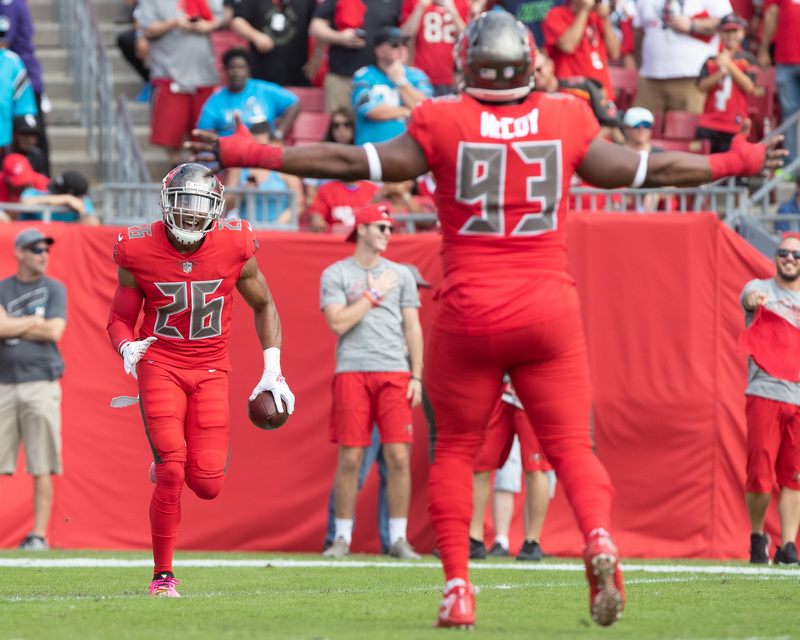 "A statement was made to the rest of the NFL in this game that future teams facing the Buccaneers’ rookie defensive interior Vita Vea had better consider double-teaming him, or else. Recording no less than a half dozen QB pressures, Vea’s best play came when he burst through the block from Dallas LG Xavier Su’a-Filo to sack Prescott for a loss of nine yards to push the Cowboys out of field goal range to end thefirst half. "Bucs veteran DB Brent Grimes was the defender targeted in coverage on many of Dallas’ most important plays. Grimes was in coverage on the 31-yard gain mentioned to Gallup, an 18-yard post to WR Amari Cooper and a fade route — again — to Gallup for Prescott’s lone TD pass." 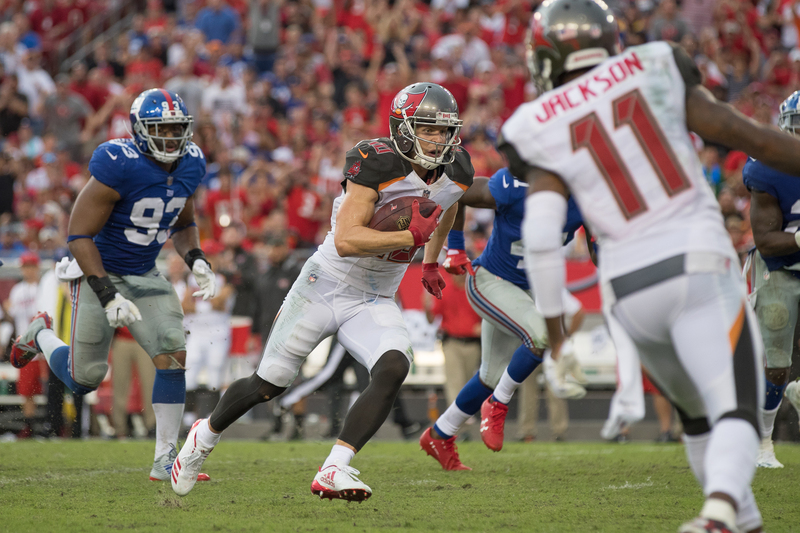 Offense: Adam Humphries never complains about the chemistry he has with any quarterback. He caught 10 balls on Sunday, and suddenly, the league is interested in him. Defense: Vita Vea looked like a No. 1 draft pick on Sunday. Finally. Special teams: Yes, he shared in a fumble. But Bobo Wilson averaged 34.5 yards on two kick returns. Quarterback: There was a stat last week that Winston had only one fumble all season. Well, oops. He had two Sunday if you want to blame him for a muffed handoff to Wilson, as the league statisticians did. Nothing wrong with Winston's passing yards, but should he be throwing it 48 times (plus seven other called passes)? Grade: C.
Running back: Barber, once again, failed to average three yards a carry. Part of the blame goes to the offensive line, who kept getting called for holding. Grade: C.
Wide receivers: Humphries and Evans had big days, but once again, DeSean Jackson was invisible. Why is this team still trying to force things with him and Winston? Grade: B. Offensive line: The last thing you want on this earth is for invaders to come into your home, and the only protection you have is this offensive line. Grade: F.
Defensive line: Big day for Vita Vea, but it wasn't good enough. Grade: C.
Linebackers: Lavonte David had just five tackles, but two of them were for losses. Grade: B. Secondary: Another quarterback cut them up. Dak Prescott threw just five incompletions. Grade: D.
Kicker: Another day, another miss. The answers aren't in yet. Grade: C.
1-7-7 -- Winston threw his only touchdown pass when he found Evans in the end zone. Evans stepped up and made a nice catch for the score. 1-10-32 -- Winston found Bobo Wilson for a 25-yard gain to set up Evans' touchdown. 1-10-49 -- On the third play of the game, Winston found Evans for a 38-yard gain. Unfortunately, a hold stalled the drive and the Bucs kicked a field goal. 4-2-45 -- It's rare for a team to convert a fourth-down pass, especially this team. Winston found Barber over the middle for five yards and a first. 3-11-39 -- Winston picked up a first down on a third-and-long by finding Adam Humphries for 16 yards. 3-5-24 -- Once again, the pressure had Winston on the run. This time, Randy Gregory caught him from behind and stripped him of the ball. Jayden Smith picked up the fumble and ran 69 yards for the score. 4-1-2 -- There is no excuse. With the team in the shadows of the goal line, Winston didn't come close to getting a play off. On the next play, Winston scrambled but was just short of the goal line. 2-2-23 -- Winston and Wilson muffed a simple handoff, fumbling the ball. Gregory recovered at the 2 to set up a touchdown. 3-12-34 -- The Bucs should have gotten off the field, but on third-and-long, Prescott found Michael Gallop for 31 yards. 1. Andrew Adams had seven tackles to lead the Bucs. 2. Jerome Whitehead also had seven tackles, tying with Adams. 3. Jacquizz Rogers caught seven passes for 55 yards. 4. Donovan Smith. He and Ali Marpet at least didn't have holding called on them. 5. 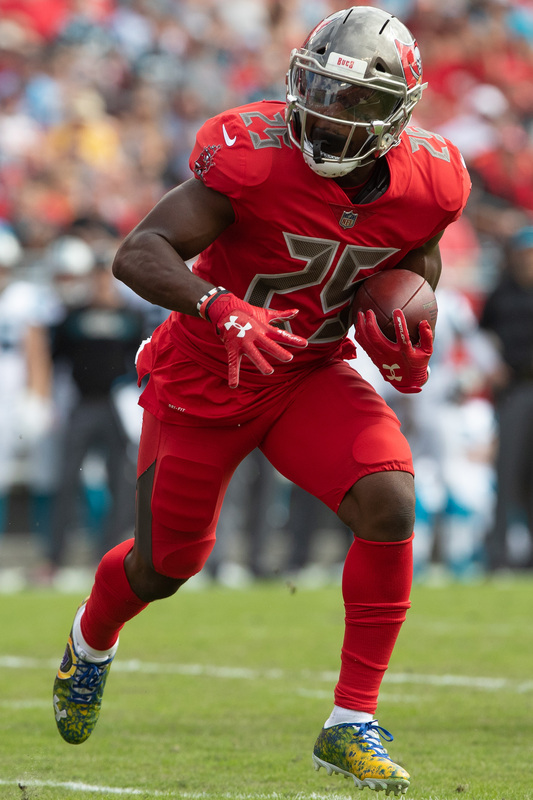 New father Adarius Taylor had five tackles for the Bucs. (The Glazer Family has never liked finishing poorly. A look back at the last five coaches and their last four games). 1. Nineteen wins in three seasons. 4. The offensive line hasn't developed. 1. Counting the year he spent as offensive coordinator, Koetter has had the Bucs in the top 10 of offenses three times, rare for a Bucs' coach. 2. 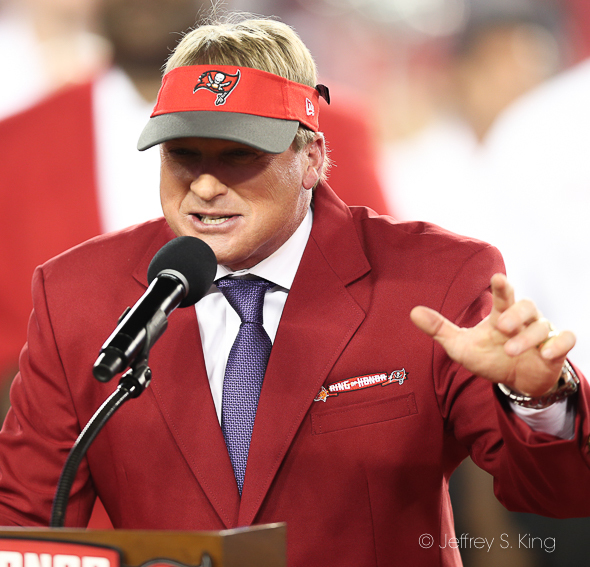 Only Tony Dungy and Jon Gruden have won better than Koetter's .404 clip. 3. His name is already on his office door. 4. No, really, next year will be different. Honest. 1. For Jameis Winston. A GPS chip to go in his helmet. "Throw it left." "Throw it right." "Throw it away, Num-num." 2. For DeSean Jackson, a beginner's chemistry set. 3. For Noah Spence, an autographed picture of Carl Nassib." 4. 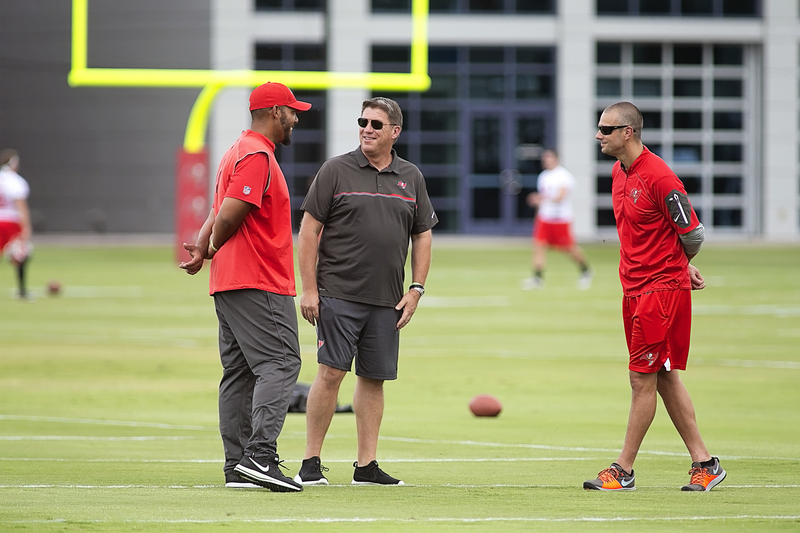 For Dirk Koetter, an emergency meeting of the parole board. 5. 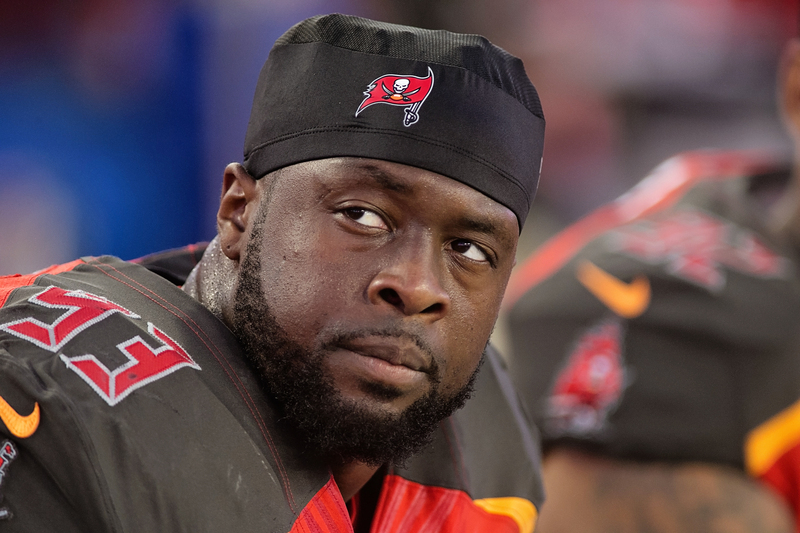 For Gerald McCoy, a chance to go the playoffs. Flights are cheap these days. 1, "I picked them higher, but they didn't live up to it. The quarterback made too many mistakes, the running game was lame and the offensive line was weak. The defense was horrible and the kicker couldn't be counted on." Just a reminder of your summation of the Bucs in almost every season ever. 2. You know how the old Dolphins used to gather every time someone threatened to go undefeated? Will Mark Dominik show up to make sure Jason Licht doesn't win, and therefore, doesn't tie his overall record? 3. I wonder what Josh Freeman thinks when he sees Winston play. I wonder what Lars Tate thinks when he sees Ronald Jones run. I wonder what Charles McRae thinks when he sees Donovan Smith block. I wonder what Roberto Aguayo thinks when he sees Carlos Santos kick. 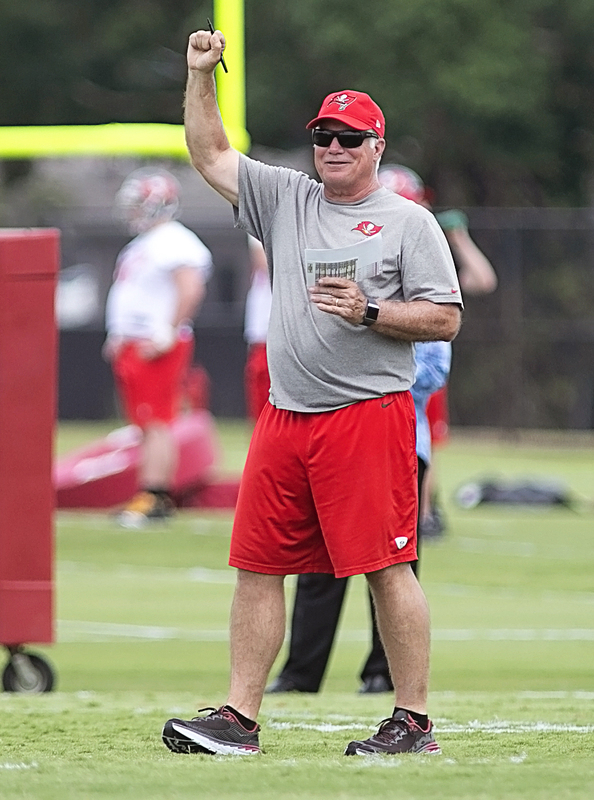 I wonder what Sam Wyche thinks when he watches Dirk Koetter coach. I wonder if the guy who came up with the phrase "deja vu" has a phrase for realizing these Bucs are a lot like the old Bucs. 4. There were a lot of dubious records for the Bucs this year, but here's the one that sticks with me. Out of 15 gams, they allowed the opposing quarterback to exceed than 100-point rating 10 times. Put some cleats on the Keystone Cops, and they hold opponents down better. 5. If the Bus were a country, you would describe them as "war-torn." If they were a movie, you would call them a "tear-jerker." If they were a horror movie, you would call them "a nightmare." It they were an automobile, you would call them "totaled." You get it. Talk about false advertising. In 1987, Ray Perkins kicked in the door to his era with a 48-10 clobbering of the Falcons. The Bucs, to that date, had been horrible. They had lost 53 of 65 games, and previous coach Leeman Bennett was shocked when he was fired after a 4-28 start. The team didn't sign No. 1 pick Bo Jackson the previous year. But for a day, Perk was a genius. Steve DeBerg threw for 333 yards in a 48-10 victory. Oh, it didn't last. Tampa Bay won four games all season, and two of those were by replacement players. Perkins won only 19 of 60 games as a head coach. For one day, though, he was golden. 1) What a way to go out for your dog – watching a Bucs game. A true dog’s life. Sorry for your loss, Gary. 2) Koetter and Licht both paved their way to the unemployment line by sticking with Smith as DC way too long and over rating the OL. Both were/are horrible. 3) Can we get Ryan Griffin in a game for crying out loud? Everything has been decided by now so give the kid a shot. 4) Koetter’s offense has great stats but other than those first few games of the year when Fitz was throwing bombs, the Bucs struggle mightily in the red zone. If you can’t score TDs piling up a ton of yards is meaningless. Merry Christmas, Larry. You’re a great friend and an asset to this site. Merry Christmas to you and the family Gary. Real sorry to hear about your dog. Hope she had a good life. Really like the site and I recommend it to all my friends that are sports fans! Keep up the good work for 2019. No more comments on the Bucs. You said it all. GO BOLTS! Merry Christmas to you too. Scoop was a good dog, and I usually don’t like little dogs. Thanks for being a member. You have no idea how much I appreciate you. 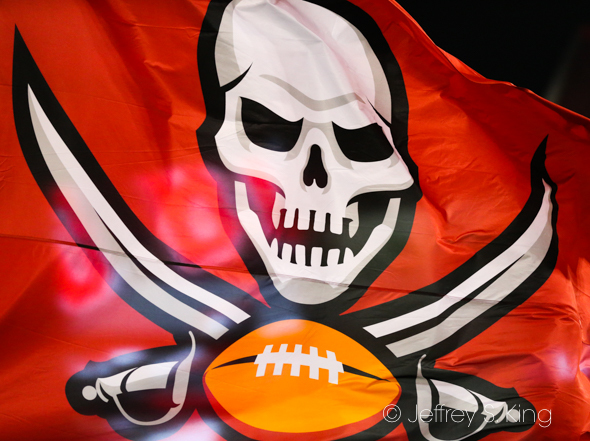 Previous post: Can we withstand another week of Bucs’ failures?